I spent the weekend alone. Totally alone, well except for my dog, Cosi. There's this scene in the movie The Diving Secrets of The Ya-Ya Sisterhood where Ashely Judd's character loses it and leaves her family to go to a hotel. Once she's there she sleeps and sleeps and smokes and drinks and watches the ocean. She's in a fog, a daze. There's a scene where she is standing in front of a mirror staring at her reflection as if she doesn't recognize the person she sees in the mirror. I think about that scene sometimes. I was always an alone kind of person. In college I had my own dorm room freshman year. After college, I happily lived in a tiny apartment alone. I used to travel alone. I appreciated the value of alone. Now, I am never alone. Ever. And that's mostly wonderful. I love having a big family. I love when we are all together. But sometimes, I forget who I am. And a lot of times, I'm exhausted. This past weekend, Tim took the kids up to his parents' cottage so I could have some alone time, some "me time." It felt beyond good. I embraced the quiet and the freedom to do whatever I wanted. I read two chapters of a book. I did not post once to Facebook. I painted my toenails. I went for a run. I stopped at a garage sale. I biked everywhere and didn't get in my car once. I watched Erin Brockovich and had a completely new appreciation for the whole damn story, and Julia Roberts. I drank wine at 2 in the afternoon because I could. I watched a Tori and Dean marathon on Lifetime and yeah, I cried for them once (so sad). I sat outside and looked at the sky. I took the dog for a nature hike. I ate outside. I made a craft. I only did one load of laundry. I slept for 11 hours on Saturday night. Eleven hours straight through! I woke up on Sunday feeling amazing...well-rested possibly for the first time in 12 years. I documented my weekend on Instagram. I didn't get out of bed until 9:30 & now I'm eating the first omelet I've ever made outside in the sunshine. Alone. Tim took the kids to my in-laws' cottage for the weekend. Two days by myself--a belated Mother's Day gift. This weekend was about being quiet, catching my breath, taking care of myself, remembering who I am and how much I love my crazy,loud family. Alone time is the best. It's needed. It's awesome. Glad you got some! Ah. This is lovely. I lived alone a lot in college and before getting married too. I am a very "alone" person, and I can always tell when it's past due for me to be absolutely alone again. I'm so happy you got those couple days to just breathe. 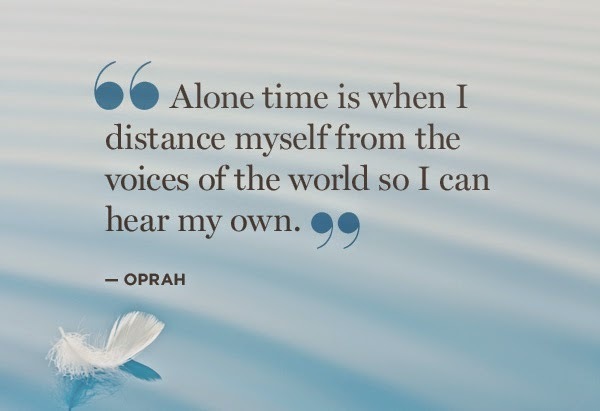 I miss alone time. I get it maybe once a year in the summer. I'm living vicariously through you. LOVE that suitcase and all of your pictures and captions. And I was inspired to choose my major in college based solely on Erin Brockovich.